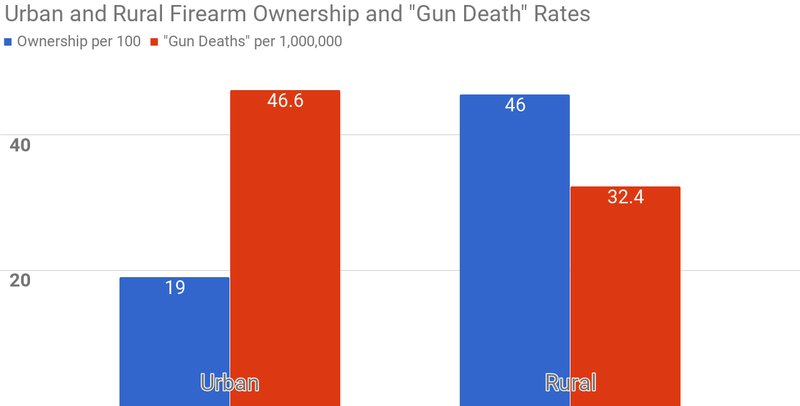 You should also post the “unadjusted” charts so people can visualize how there is NOT a “gun violence” problem in the countryside and barely one in the cities. The relatively poorly-educated populace doesn’t actually bother to read details. If they see a big red bar, it’s scary. I cannot find a way to say this expressly politely, so I will instead be direct: if someone cannot be bothered to actually read the chart, there is no chart in the world that will change their mind or assuage them. Suffice to say that if we were to convert the “gun death” rates to pure percentages, they simply would not even show up on this chart as it stands presently, rendering it meaningless.